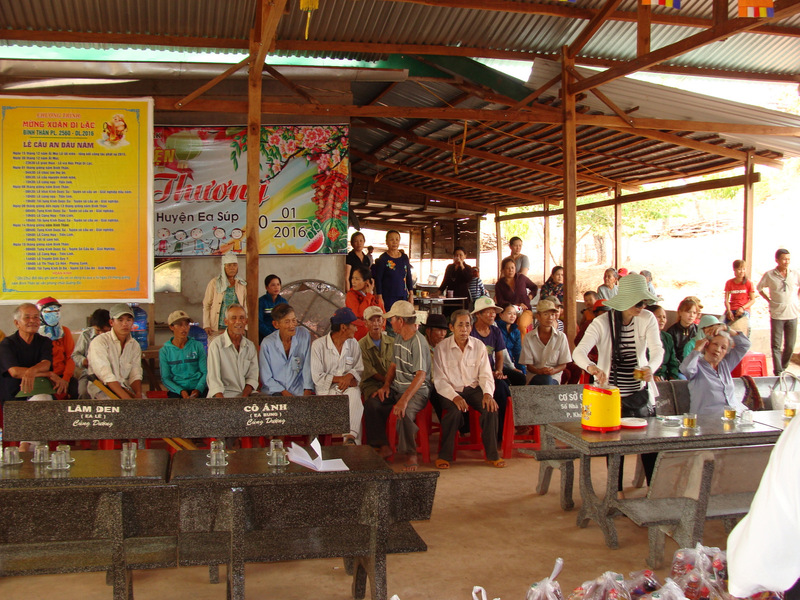 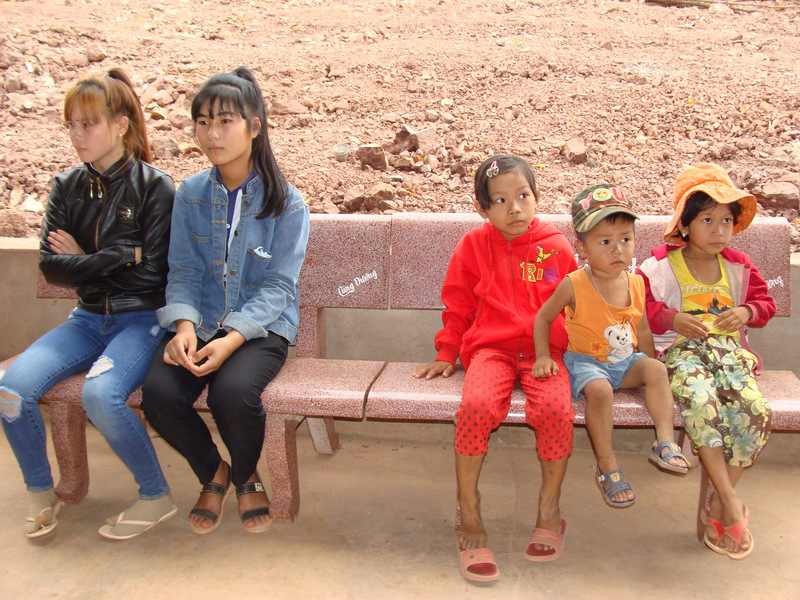 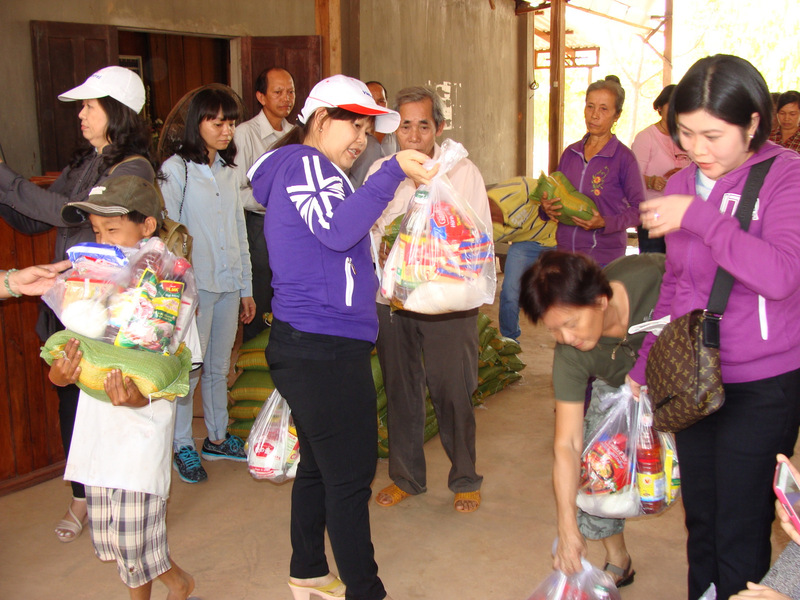 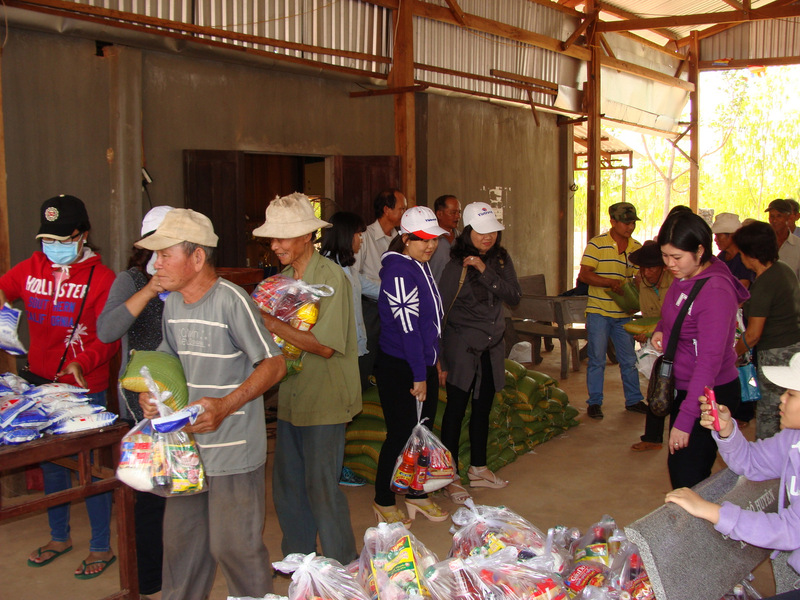 On March 28, 2016 we visited a poor community in the mountainous region of Dak Lak, to the west of Nha Trang. 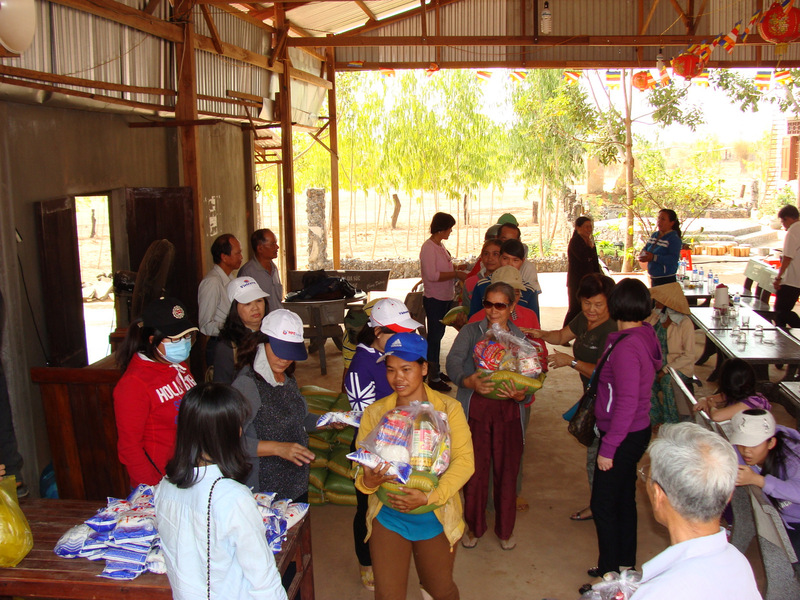 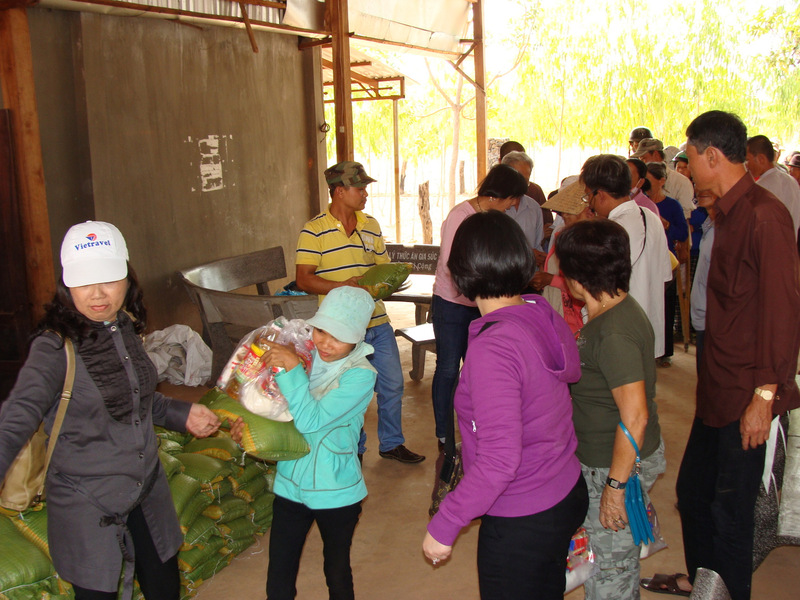 A large group of volunteers from the Long Son pagoda in Nha Trang joined on the trip, and we were very happy to be a big contributor to this humanitarian effort. 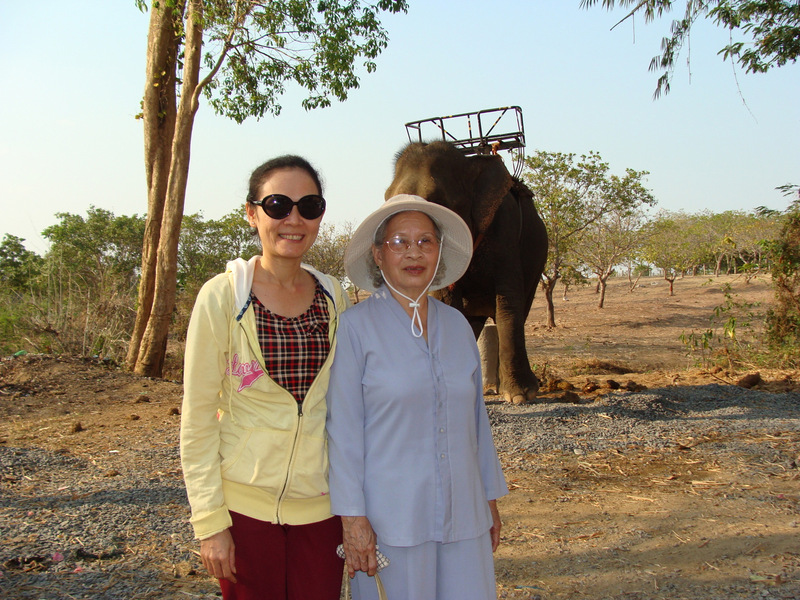 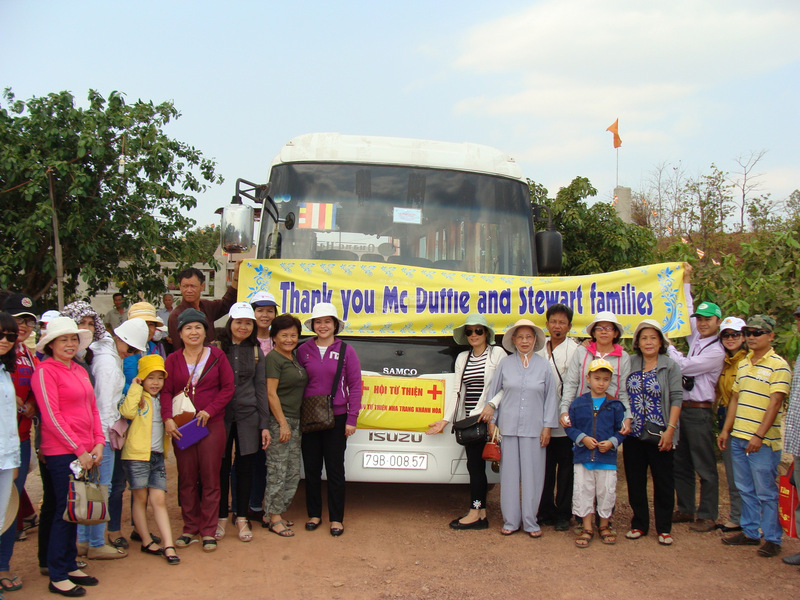 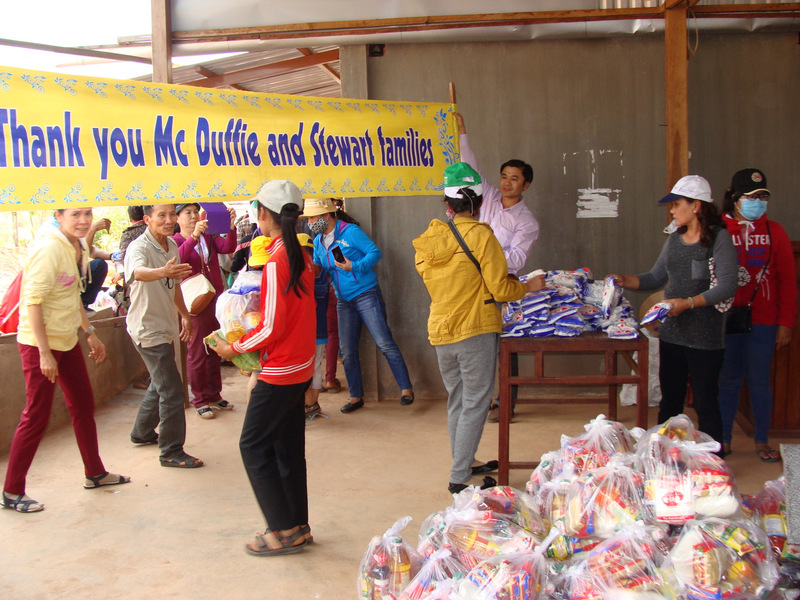 Donations from Lovingkindness Vietnam came entirely from the McDuffie and Stewart families, who have made numerous kindhearted donations to those most in need. 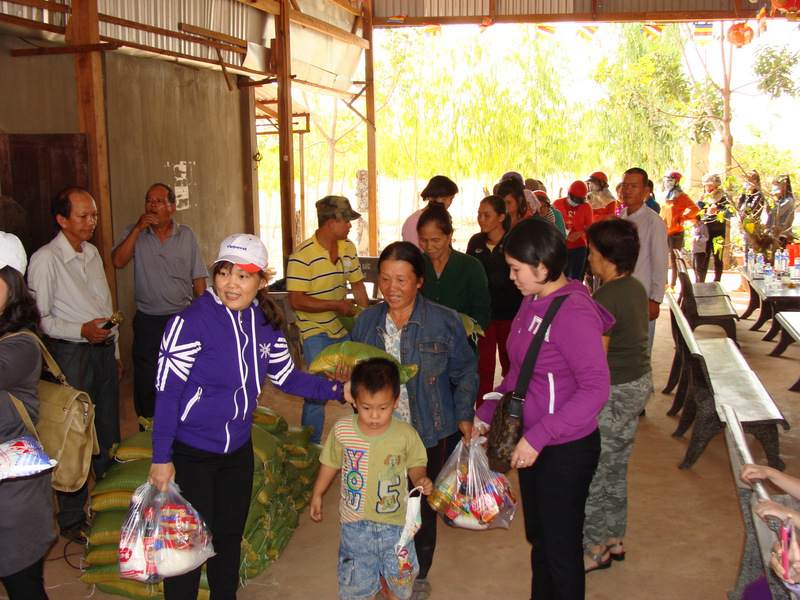 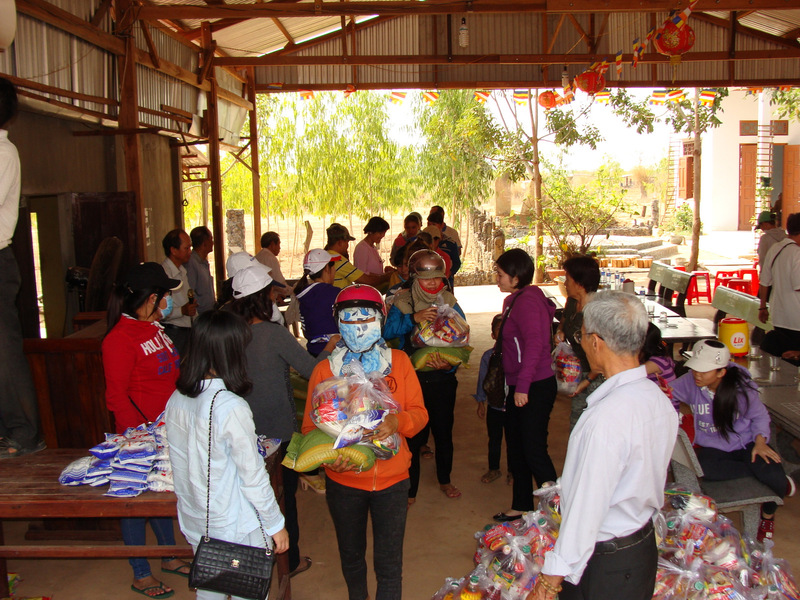 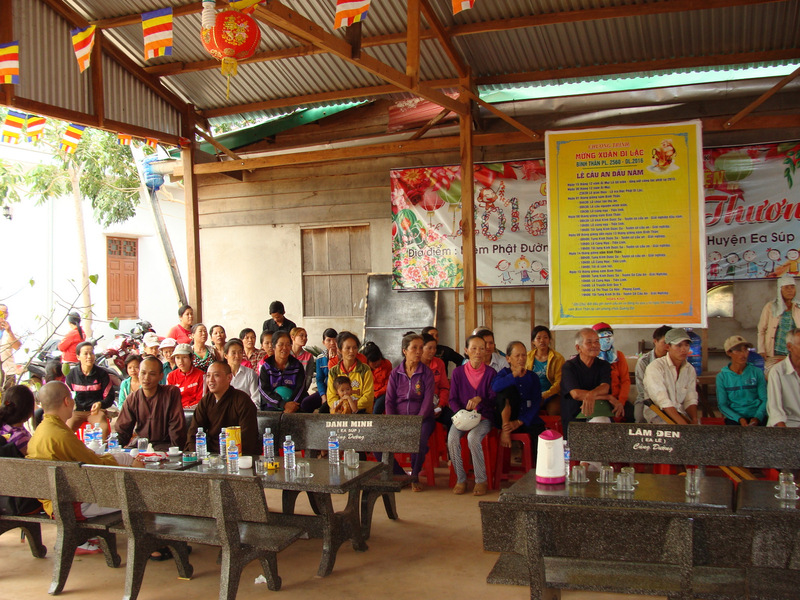 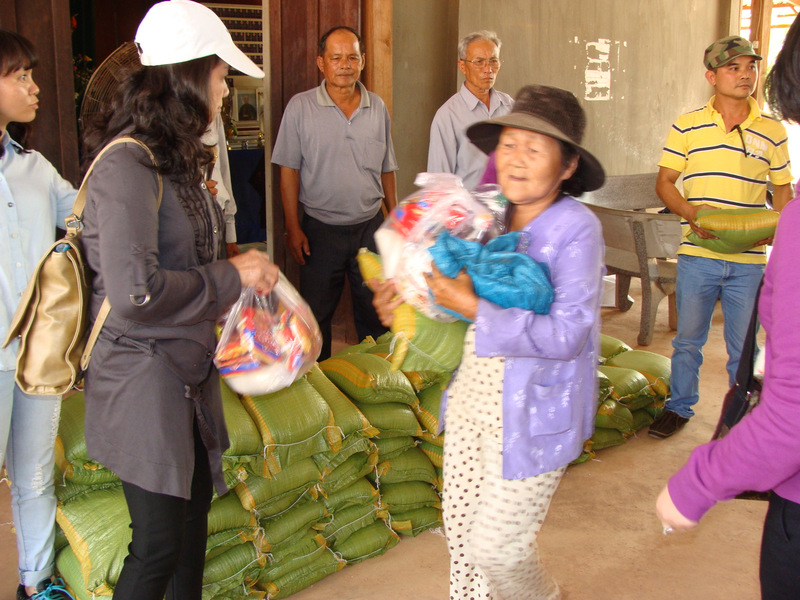 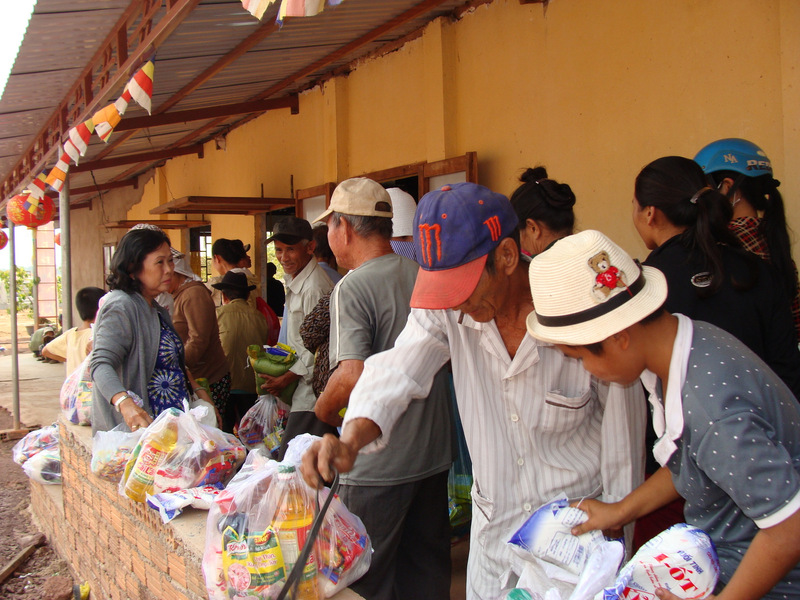 Our team coordinated with the local government in Dak Lak, and poor families gathered at a local community center for the aid distribution. 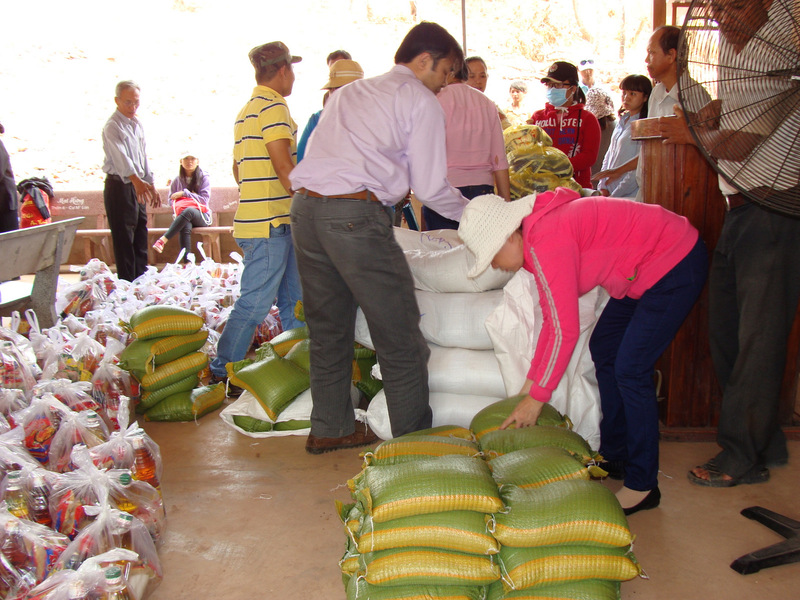 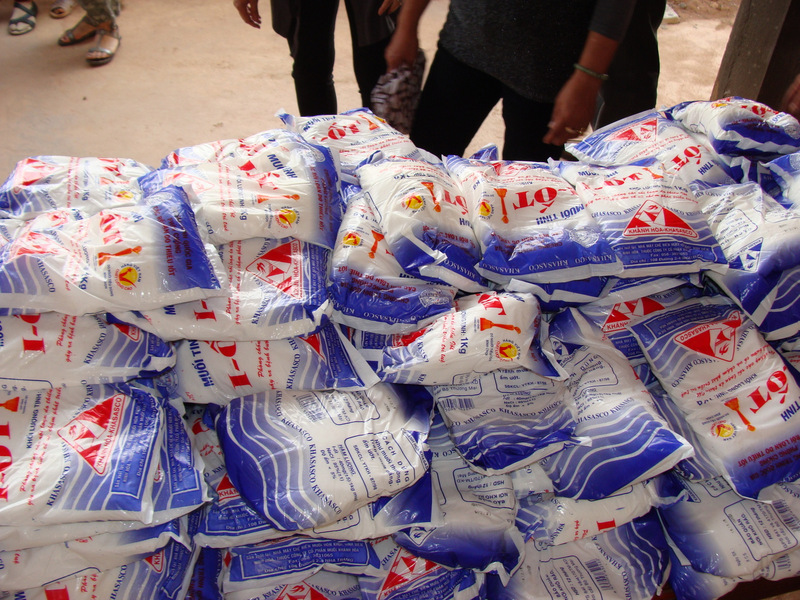 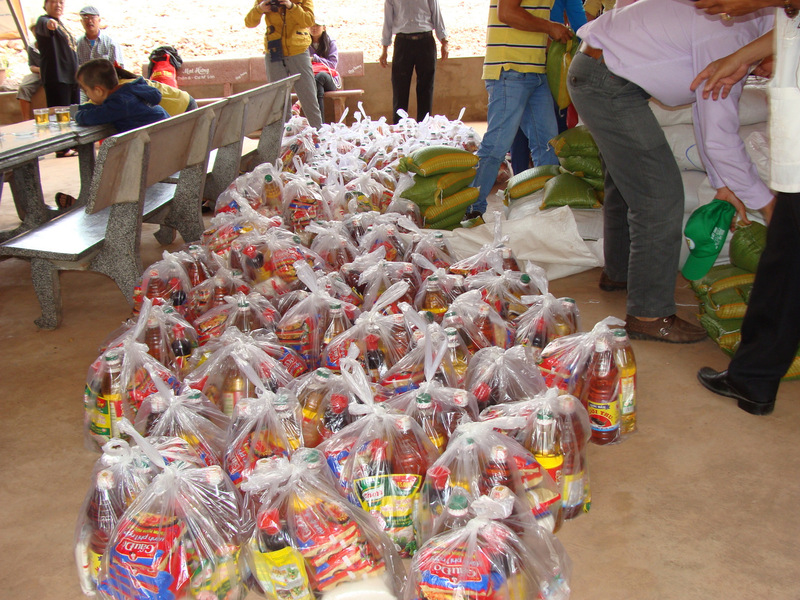 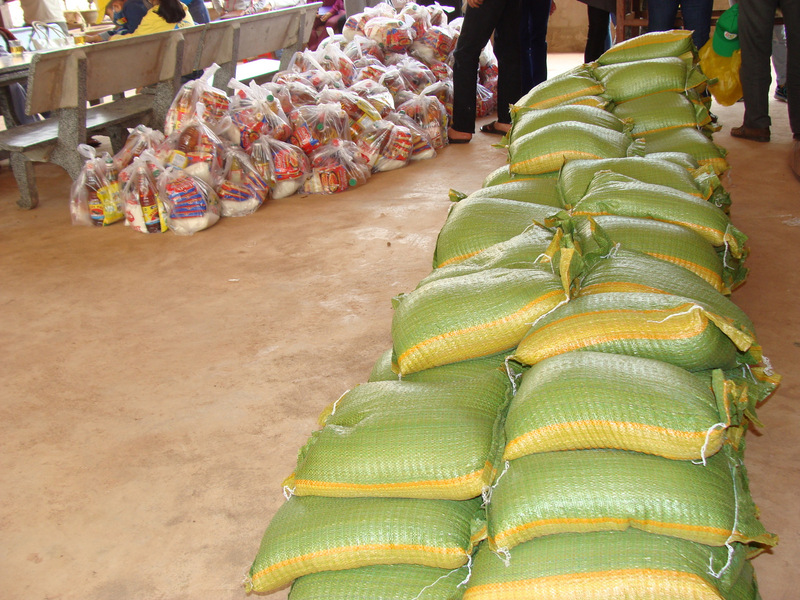 Each family received a bag of rice, cooking oil, soy sauce, bags of beans, and collections of seasonings. 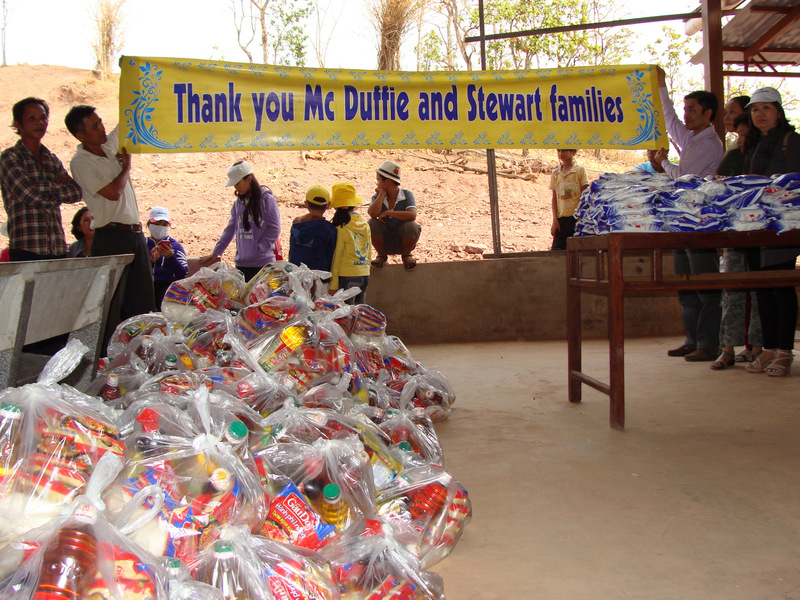 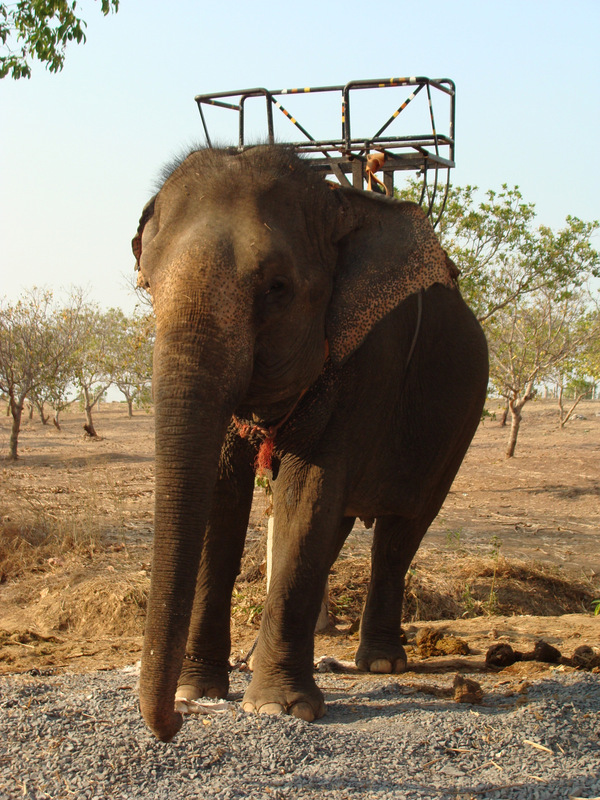 Thank you for helping these impoverished families!